Silver Lake is a fully programmable reverb workstation, combining high quality reverb algorithms with unique dynamic control and powerful tone shaping options for a deep sonic experience whether you need subtle sounds or a wash of massive ambience. The Silver Lake Dynamic Reverb is a powerhouse reverb workstation. The foundation is a collection of eight beautifully crafted reverb algorithms, a powerful set of tone shaping options and our proprietary Dynamic Expression control. If youre looking for classic Room, vintage Spring sounds, or massive Plates and Halls, Silver Lake has you covered. In addition, Silver Lake offers special effect modes like Shimmer, Swell, Gated and Delay/Verb allowing you to go above and beyond traditional effects. 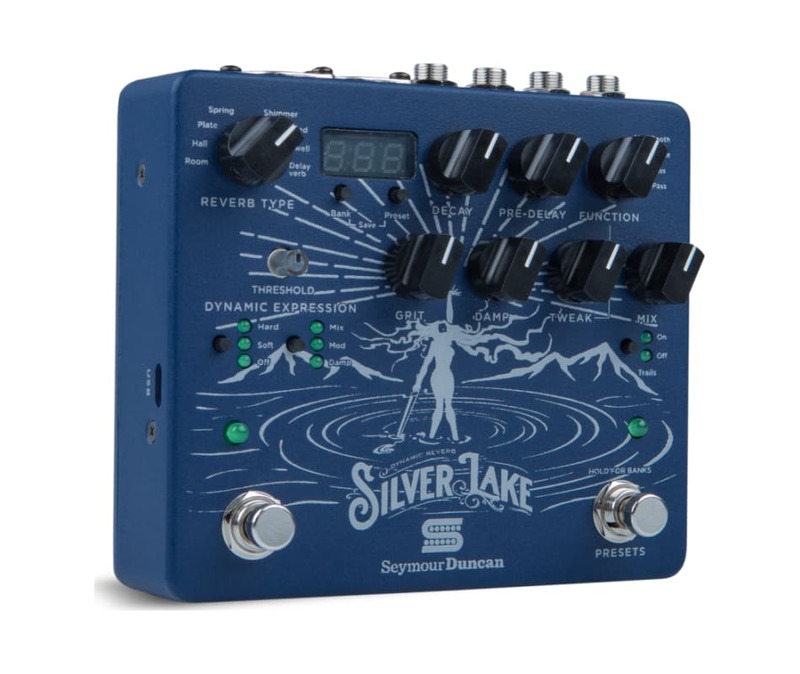 Dynamic Expression allows you to control how Silver Lake reacts, in real time, with your picking attack. That means you can alter settings for Mix, Modulation or Damping on the fly, just by how you play. For instance, by selecting Mix, you can set Silver Lake for a subtle reverb sound when you play normally that will bloom into massive soundscapes when you play softly, or vice versa. Depending on how you set the various controls, picking hard or picking soft will produce infinite variations on the sounds. Its interactive, intuitive andmost importantlyalways musical. Everything you need to create your reverb tone is right on the front panel, so no scrolling through menus or external programming is required. Twist a knob, change the soundits that simple. Silver Lake provides the immediate response that we associate with classic guitar gear in a deep, modern effect.